On the 17th August 1945, Indonesia declared its independence from the Netherlands after nearly 150 years of formal rule under the Dutch administration, but with a history of increasing colonial influence stretching back as far as the early 1600s. The struggle for independence and process of national awakening began in 1908 and was accelerated by the occupation of Indonesia by Japanese forces who in the process expelled the Dutch forces. Following the Japanese surrender and exit from Indonesia at the end of the Second World War, Indonesian revolutionaries took the opportunity to declare independence. All was not well, however, as the power vacuum created was followed by a long and bloody war involving Dutch, British and other allied forces as well as internal divisions between different Indonesian revolutionary groups. After four long years of struggle and increasing international outrage and pressure from the United Nations, the Netherlands were forced to accept Indonesian sovereignty. Formal transferral of power and recognition of the state known initially as the United States of Indonesia (RUSI) occurred on the 27th December 1949. Now as the 72nd anniversary of Indonesian independence approaches, how do the Indonesian people remember and celebrate such an important event in their national history? 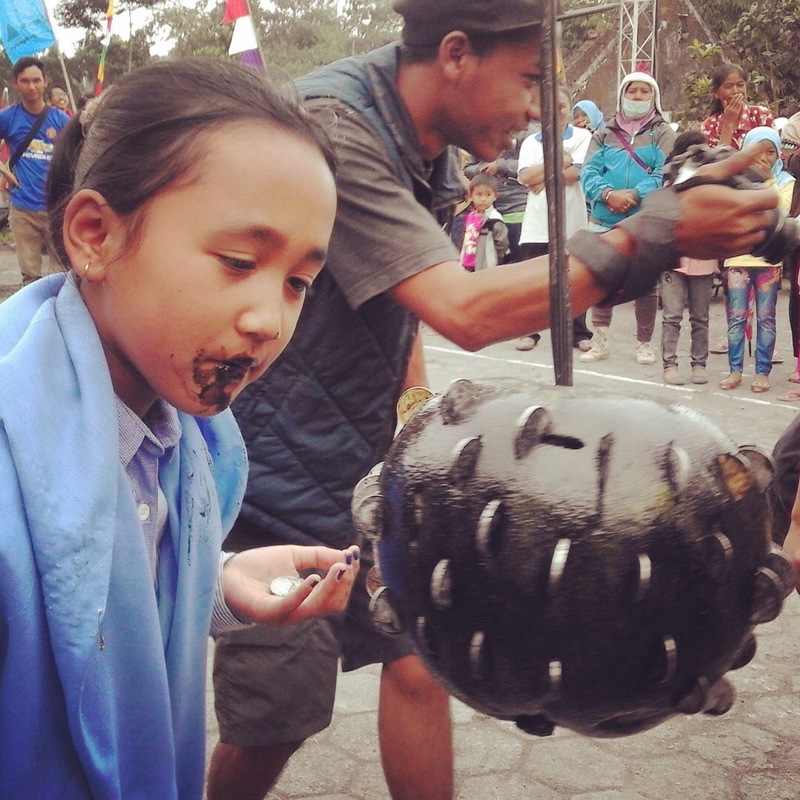 On mount Merapi, the community of Pangukrejo village celebrate independence with activities aimed to entertain, increase community pride and togetherness. For the last few weeks, members of the community have been working hard to clean up and decorate the village, painting public spaces and monuments. On the 10th August, the local community youth group began a week of games, competitions and tournaments open to all ages and sections of the community. Some games are more conventional such as volleyball and futsal, and others are more traditional verging on the slightly mad. Variation on the classic sack race, with motorbike helmets! 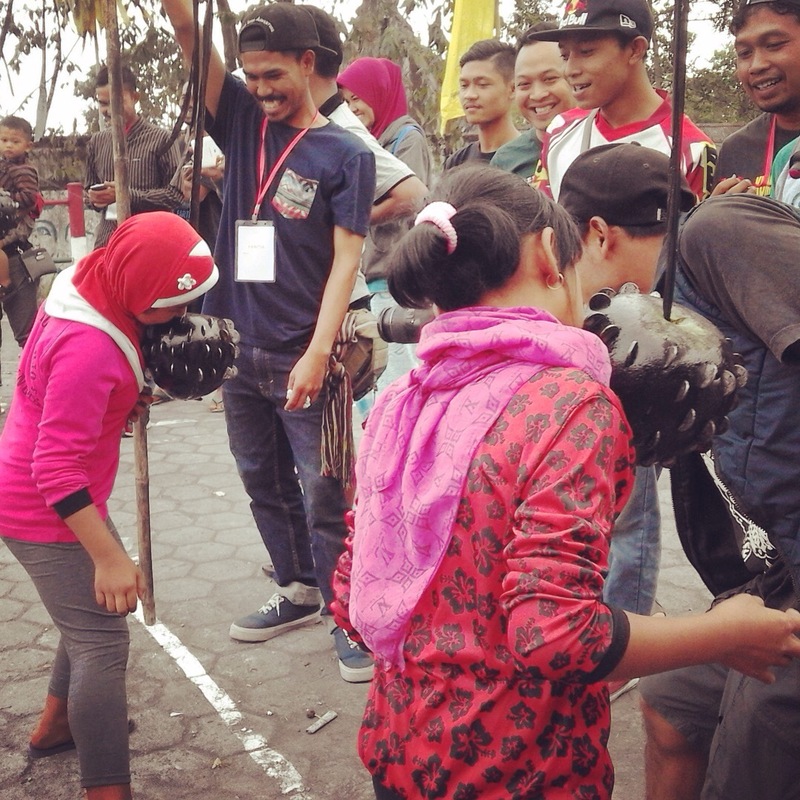 Merapi Madness with the grapefruit game: Teams relay race to pick off coins from a giant grapefruit covered in oil and soot using only their teeth! The grapefruit game! Will leave your face covered in oil and soot! 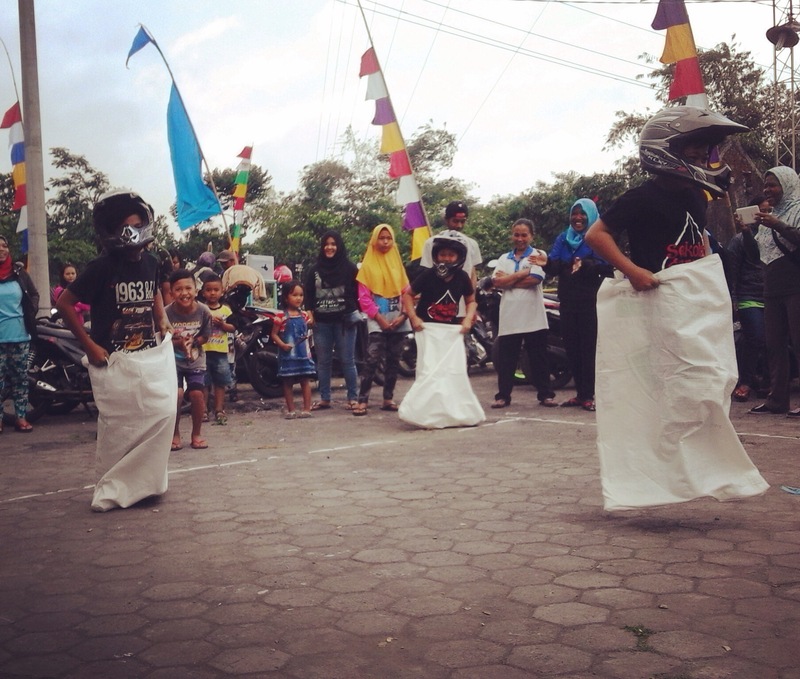 The height of the celebrations will take place on the 17th of August itself, with a day of cultural performances by groups from the community such as the ‘Jatilan’ (the hypnotic and sometimes trance inducing horse puppet dance) and Javanese ballet or ‘Wayang Wong’. → New term at SGM begins: Nine classes and 65 students!